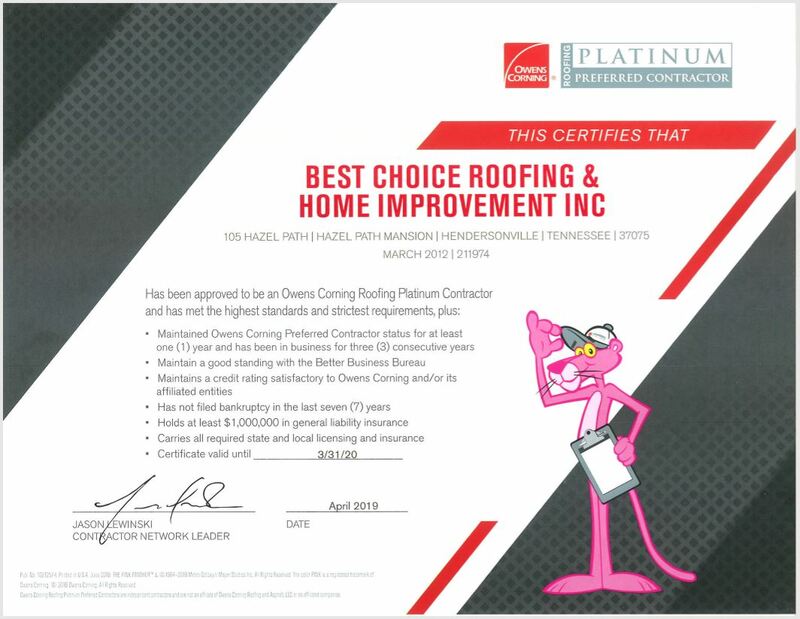 Best Choice Roofing has been approved to be an Owens Corning Roofing Platinum Contractor and has met the highest standards and strictest requirements. Click the image to to read more! Owens Corning is a leading roofing manufacturer that provides some of the best materials available on the market. A Platinum Preferred Contractor is recognized as meeting their highest and strictest standards for quality and excellence. The National Association of Home Builders is a federation of more than 700 state and local associations and is dedicated to protecting the American Dream of housing opportunities for all, while helping its members achieve success and create jobs.